Tipperary Singers including our very own NenaghEDIC staff member Mary McCormack celebrating Europe Day on May 9th by singing “Ode to Joy” in Cashel Library. It was part of Bealtaine Events in Cashel Library and the NenaghEDIC Europe Day celebrations. 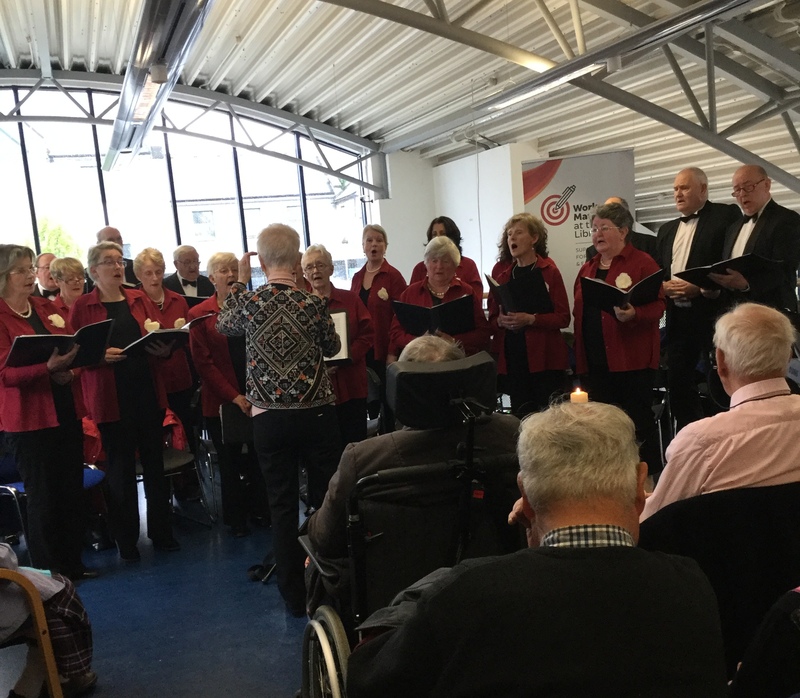 Many thanks to Betty Lynch (Choral Director), Tipperary Singers and Cashel Library. Nenagh Library is a Europe Direct Information Centre. next post: Talk by Trudi O’Leary from Roscrea Travel on Senior Travel.